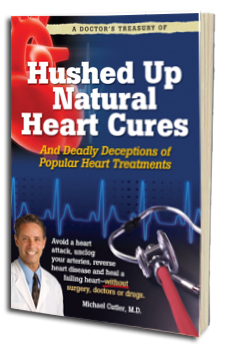 In this FREE Heart Health E-Book, you'll get the "forbidden" truth about today's popular heart treatments—so you can protect your health and finances from the biggest heart disease lies and rip-offs in America. Plus you'll also receive a FREE subscription to Easy Health Digest™ email newsletter. Every issue is jam packed with breakthrough discoveries and cutting edge information from the world of natural health. Why heart disease is NOT just a physical problem—and the mind/body technique that could reduce your risk of dying of heart disease by a staggering 400%! And Reveals Natural Solutions That Work ! This is a Limited Time Offer...Act Now to Claim Your No Strings Attached FREE Copy Today as My Gift to You!